Retail accommodation arranged at ground and first floor level. Ground and first floor retail accommodation. Retail accommodation at ground floor level. The available space comprises a ground floor retail accommodation. A new lease is available on terms to be negotiated. The available space comprises ground floor retail accommodation of 1,403 sq ft. The premises are held by way of a new full repairing and insuring lease for a term of years to be agreed. 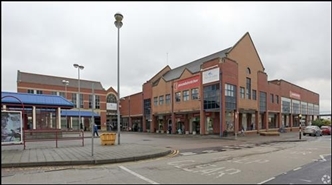 The quoting rent is £32,500 pa.
Retail accommodation at ground and first floor level.